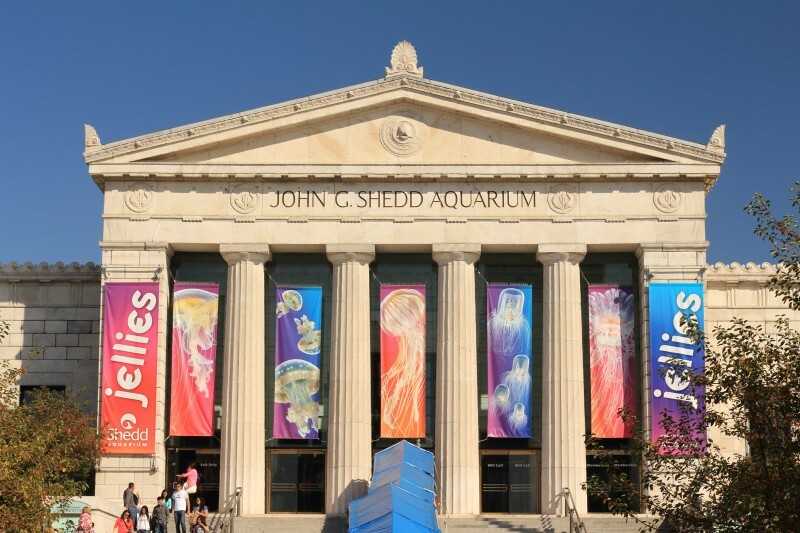 Since it first opened in 1930, the John G. Shedd Aquarium has been one of Chicago’s most popular and beloved attractions. Located right on Lake Michigan and offering a gorgeous view of the Chicago skyline, Shedd Aquarium is a National Historic Landmark and is the top cultural attraction in Chicago. 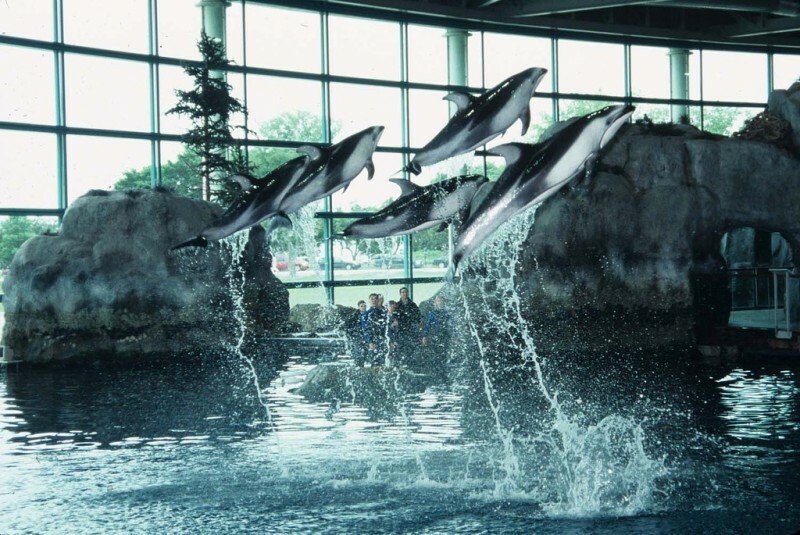 With over 32,000 aquatic animals and award-winning exhibits, it is one of the top aquariums in the world. Shedd Aquarium is one of our favorite Chicago event venues, as it offers a unique setting, breathtaking views, and interactive elements that are sure to wow guests. Whether you’re planning a meeting, cocktail hour, corporate dinner, formal reception, or gala, Shedd Aquarium is the perfect venue for your next Chicago private event. On The Scene has experience producing events at Shedd Aquarium, and we’re very familiar with each of their innovative event spaces. That familiarity allows us to guide you through the planning process and choose the right space for your particular event. From logistics and coordination to design and decor to production and execution, we’ll be there every step of the way. As your behind-the-scenes partner, we’ll work with you to understand your company’s brand, corporate culture, and goals, and produce an unforgettable event experience that guests will be talking about for year to come. Shedd Aquarium offers a variety of unique corporate event spaces that are sure to wow guests and provide interactive event experiences. No matter the type of event, or the number of attendees, Shedd offers something for everyone. North Terrace – Great for a cocktail hour, this outdoor space offers gorgeous views of Lake Michigan and the Chicago skyline and is open from May through October. Lakeside Terrace – Located right on Lake Michigan, the terrace is open May – October and showcases the aquarium’s gorgeous gardens. Perfect for a more casual corporate outing. Caribbean Reef (Rotunda) (230 seated guests; 600 standing) and Aquarium Galleries (600 seated guests; 1,000 standing) – This gorgeous event space features a 90,000-gallon Caribbean Reef exhibit, offering a unique, spacious setting for larger corporate dinners and receptions. Main Foyer/Kovler Hall (200 seated guests; 300 standing) – With classic Greek architecture, this elegant space is perfect for both dinner and dancing. Abbott Oceanarium (800 standing) – Take guests to the ocean and let them interact with dolphins, beluga whales, and sea otters with this “re-creation of a Pacific Northwest coastline.” Perfect for a cocktail party or reception before the main event. Rice Foundation Amphitheater (1,000 seated guests) – This space is used in conjunction with the Abbott Oceanarium, and offers plenty of seating, making it a great choice for a welcome presentation or a fun break during a long day of meetings. Phelps Auditorium (244 seated guests) – With “state-of-the-art audiovisual technology,” this space is ideal for a meeting or presentation. As an award-winning Chicago event management company, On The Scene has years of experience producing a wide variety of corporate events, from multi-day corporate programs and galas for thousands, to more intimate meetings and receptions. We have worked with clients in almost every industry, and no matter the size or scope of your event, we will work as an extension of your team to produce a one-of-a-kind event experience. If you’re interested in hosting your next corporate event at Shedd Aquarium, contact On The Scene today!